Suples, ltd. is a manufacturer of Professional Sports Equipment for Functional Strength Training.Suples Training Systems LLC is our Educational Company for use and training with the equipment. The training tools we make can be used indoor and outdoor for All Sports. Great team work out gear. Our top Products have a great reputation around the world. 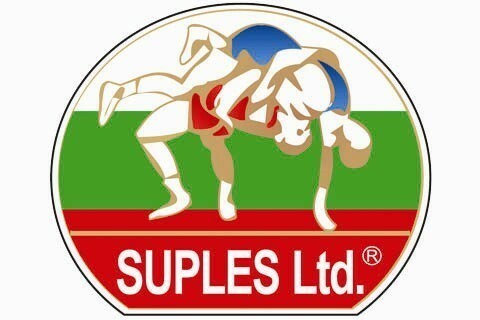 For example: The Suples Wrestling Dummies were used in every combat facility during the 2012 Olympic Games in London. The Bulgarian Bag is becoming one of the Top functional strength training tools around the world. The H.I.R.T.S (High Intensity Rope Training System) is one of the top of the line resistance training tools in the world. All of the Suples Training equipment was developed from world class wrestling Coach Ivan Ivanov to improve performance for Olympic Caliber Wrestlers. Since 2005 until now many Coaches and athletes outside of wrestling have noticed the benefits of the Suples Training Systems. These days Suples, ltd. is establishing itself to be one of the top companies producing functional training gear.